Are you tired of your flooring being a bland or an underperforming surface? Are you overwhelmed by the overpriced bid that you have been receiving from contractors that may not know what they are doing? Everyone faces these problems whether they own a home or an industrial facility and not much separates the two. We all need flooring that can handle damage as well as last a long time all at an affordable price. Not all flooring options are created equal and some are more attractive to you than others. Well for our neighbors in Tallahassee we are now offering our specialized concrete coatings that deliver superior damage resistance, low lifecycle costs and a stunningly attractive appearance at a pricing point that is competitive with traditional flooring. No matter where your flooring is located we have multiple concrete coatings that are sure to meet the expectations you have set. Allow us to elaborate a little more on our products! If you’re ready to learn more, please continue reading. If you need something specific, be sure to CONTACT US today! Our concrete coatings are specially formulated to handle any situation or area they may be placed in without loss of performance. Below we have only a few of the many applications our concrete coatings can be applied in. When you decide to use one of our concrete coatings, there are many great benefits that you will receive. From durability to affordability, we have something that is sure to please you. We have outlined only a few of the amazing benefits that come with our concrete coatings. All of our concrete coatings offer superior resistance to wear and tear from heavy vehicle and foot traffic. Our coatings have been proven to strengthen your concrete slab. Concrete coatings have long lifetimes when installed and cared for correctly. There are cases of our coatings lasting up to 20 years! We offer faster install times that traditional flooring solutions can’t compete with. We can be in and out of your home with most coatings in as little as three days. 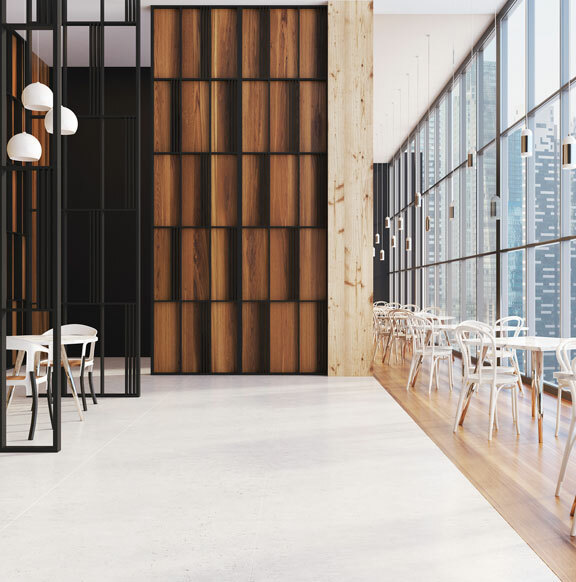 Our concrete coatings offer appearances that cannot be matched by any other flooring on the market. We can replicate stone, pavers, marble, and even lava flow. Business owners and homeowners in Tallahassee love our concrete coatings all the same! We offer flooring solutions for the harshest environments that are found in industrial facilities all the way down to flooring that you can use in your man cave. Below we have gathered a few of the most popular concrete coatings that we think will catch your eye. 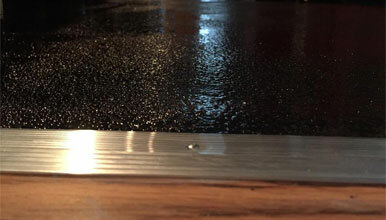 Metallic epoxy floor coatings are the most modern and stylish form of flooring available on the market today. 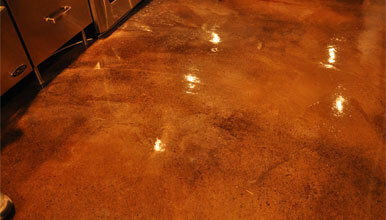 These concrete epoxy coatings have multiple colors, textures, and effects so no two will ever be the same! Don’t worry about sacrificing performance for attractiveness either, we only use the highest grade epoxies on the market to craft our flooring solutions. You can rest assured knowing that your flooring can perform like the flooring that is found inside industrial facilities like aircraft hangars. A rubber coating for concrete can be one of the most versatile coatings as it can be installed almost anywhere. This coating can be used around pools, in gyms, on driveways and that’s only the tip of the iceberg. A rubberized concrete coating can be applied right over many materials such as concrete, brick, tile and even asphalt! These concrete coatings are also very comfortable to walk on even in the summertime as it is formulated to reflect heat! Stamped concrete is the perfect concrete coating for you if you enjoy the feel of concrete with and love the appearance of natural stone or pavers. 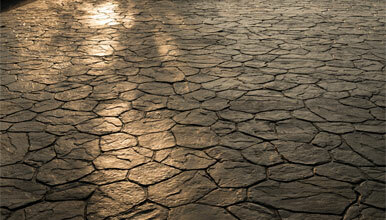 Stamped concrete can be used in many different setting such as storefronts, pool decks and even inside your home! This concrete coating provides the durability and easy maintenance of concrete with the attraction of natural stone so you get the best of both worlds! We can even apply different colors so we can achieve the look of highs and lows, making it look more realistic. Garage epoxy for concrete floors are the most common floor coatings that are found in residential properties in Tallahassee. Garage floor epoxy coatings are perfect for you if you use your garage for mechanics, weekend hobbies or if you’re just tired of your old, dusty or cracked concrete. We offer many different ways to customize this concrete epoxy coating as well. We have different colors of base coat, multi-colored flakes, and even metallic pigments. We will make your neighbors green with envy everytime you open your garage door! Commercial epoxy is the most common type of concrete coating found in commercial facilities in Tallahassee. This is because commercial epoxy floor coatings offer supreme chemical resistance, low lifecycle cost and fast install times. Commercial epoxy also offers an insane tolerance to damage from dropped objects as well as heavy vehicle traffic. When a commercial epoxy has been installed, the underlying concrete can become up to 300 percent stronger and typically last up to 2-3 times longer than stand-alone bare concrete. Epoxy Flooring Tallahassee is a professional epoxy flooring company located in Tallahassee, FL. If you are looking to have an epoxy floor installed in your home or business then don't hesitate to give us a call today!